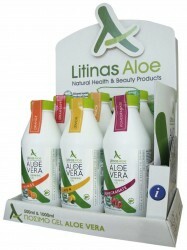 The Aloe vera has substantial activity in digestive disorders such as heartburn, ulcers and irritable bowel syndrome. 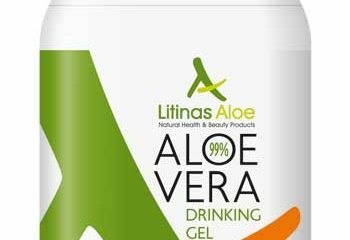 Phenolic compounds of aloe increase the content of water in the intestines, stimulate mucous secretion and intestinal peristalsis. 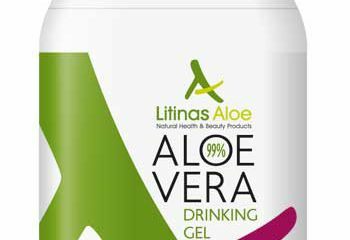 Also aloe sugars bind to receptors in the gut and form a barrier which helps to prevent the syndrome of intestinal permeability. 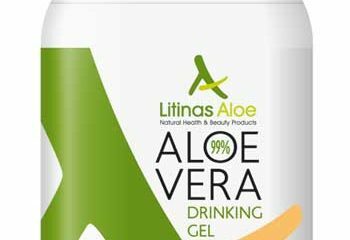 This is a drinking gel – containing more than 99% of Aloe vera – to which we add a small amount of natural lemon flavour. The lemon, although acidic, creates alkaline bases in the body fluids and helps to rebalance the pH. Contains over 99% pure Aloe Vera. Aloin free (<0,1 ppm according to law). In collaboration with Harokopio University of Athens. 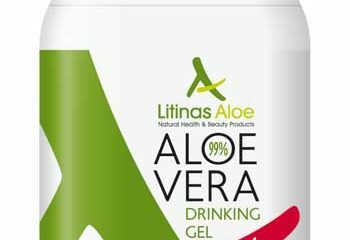 Gel Aloe vera barbadensis Miller in concentration (99%)* – Lemon natural flavour. With sweetener from Stevia plant* – Sugars free. Shake well before use – Keep refrigerated for 30 days after opening.